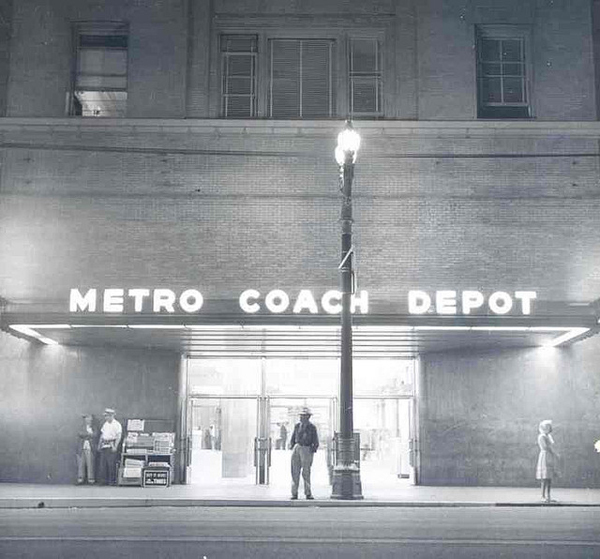 This photo is of the old 6th and Main Depot and was taken in Sept. 1963, on the last night before the fomer Pacific Electric and Metropolitan Coach Lines headquarters and station in downtown Los Angeles was closed. Our photo submissions from readers are still coming in at a snail’s pace. Come on, people — I know you have cameras!